Inside Job. The documentary. Online. For free. 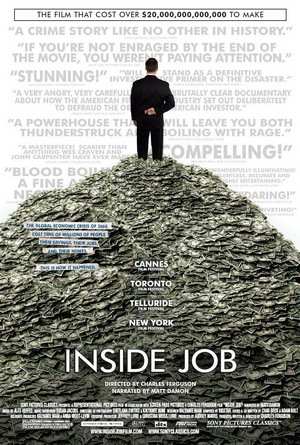 Charles Ferguson’s film – Inside Job – won the Academy Award for Best Documentary in 2011. It narrates the conflicts of interest between the finance industry, politicians, academics and regulators, which eventually led to the trillion-dollar collapse of 2008. Narrated by Matt Damon. شورش در راه است! معرفی یک فیلم کارگری "عذاب"